The state’s Department of Revenue released its report on Wednesday, and turns out Colorado weed sales are HUGE! The Colorado Department of Revenue released its report on Wednesday, and marijuana sales are HUGE! Sales totals for the first five months of 2016 reached nearly half a billion dollars. If people keep purchasing pot at this rate, Colorado weed sales will pass a billion dollars by November. Colorado pot sales for the month of May reached $98.6 million, bringing the annual total to $486 million. Theses astronomical sales rates suggest that people’s love for Colorado cannabis is bursting at the seams. 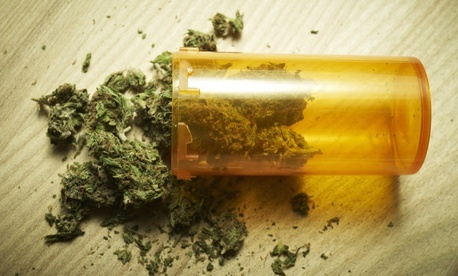 The bulk of May’s sales came from recreational purchases $60.85 million, with medical sales totaling $37.7 million. The taxes collected from these sales are being put to good use. Aurora, a town outside of Denver, is using their tax revenues to address homelessness through a variety of outreach programs. Additionally, Aurora is constructing a new recreation center for the community, and improving roads throughout the town. Aurora city councilman Bob Roth has been instrumental in not only putting the money to good use, but also providing transparency to the community. One thing I felt very strongly about was that it not just to go the general fund but kept in a separate bucket so we could show the community what specifically we were doing with it. Other townships are using the money to fund primary and secondary education. Over $500,000 will be provided to low-income students as scholarships for college. Nearly 70% of Colorado communities have opted out of recreational marijuana sales. Currently, there are 62 cities and 22 counties that allow recreational marijuana sales. Despite the minority of cities and counties allowing total access to marijuana, sales totals are growing exponentially. Perhaps cushioned by the 4/20 holiday, April sales in Colorado set a record $117.4 million. These sales contributed nearly $80 million to Colorado tax revenues, and as mentioned above, will certainly go toward improving the state’s communities. We are just looking at the money, as we do with most things these days. Apparently, people in Denver are happier than the rest of the nation. One thing is for sure, people are flocking to Denver at alarming rates. As long as the tax revenue from the sale of marijuana continues to fund positive public projects, we should be ok. I just hope that people are not going into debt over their trips to the dispensary. Are you shocked by the insane marijuana sales in Colorado? Let us know what you think on social media or in the comment below.